Membership dues for ASA of Greater Greater Baton Rouge are $750. 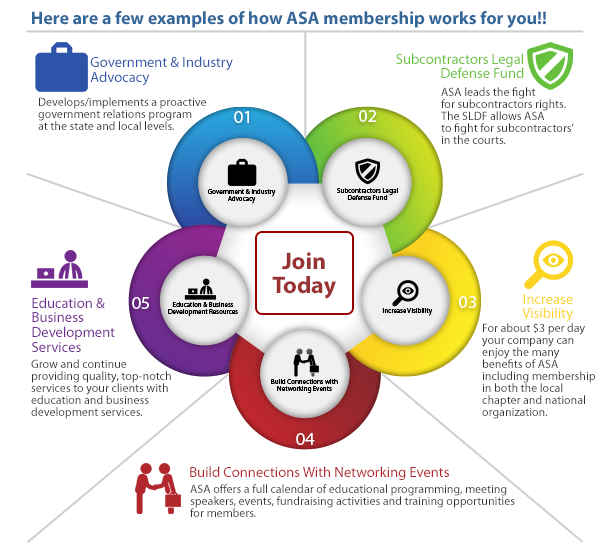 Click the Join Today button to take advantage of the many benefits, advocacy and education that being an ASA member provides! Any person, firm or corporation that in the normal course of business furnishes subcontract labor and/or materials to the construction industry or provides a service to such subcontractors or material suppliers is eligible for regular membership in the association.